High Quality Service at Competitive Prices Has Allowed Us To Remain A Top Plumber on Long Island For over 40 Years! At Pat Dolan Plumbing, nothing is more important than the trust and satisfaction of the homeowners we serve. We have been in business for over 40 years, and during that time, we have delivered superior service and results to thousands of happy, satisfied customers throughout Nassau and Western Suffolk Counties. James did a phenomenal job and presented himself well. I was extremely pleased with the work that was done and would love to have him back on future jobs. I’m very happy with the service call I had from Jeff. He was neat as a pin and I didn’t even know he was there. He went through the back wall so he wouldn’t damage my paneling and was very nice and helpful. Jeff and Anthony did a fabulous job! Everything went very smoth and they were very professional. I’m so happy with my new modern faucet. I really appreciated that the job wasn’t easy but Jeff really stuck with it to make sure that he did a thorough job. He was awesome. Thank you so much for the service to restore heat to our home back in January. We had heat within an hour and were told that we needed chimney work. I asked for a recommendation because I trust Pat Dolan Plumbing so much and was referred to Guaranteed Home Improvement and was so happy with them as well. I cannot say enough good things about Pat Dolan Plumbing and the guys who were here, Joe and Sal. They were neat, clean and just so nice to deal with. Rocco is a fantastic plumber!! He has been here several times and he is always extremely professional, knowledgeable, neat and has a great disposition. The plumbers are fast, clean, efficient and very pleasant. Did a great job – very efficient and courteous. All of Pat Dolan’s plumbers are GREAT! The plumber was very professional, explained everything to me, worked very hard and put everything back. Pat Dolan Plumbing did a great job, very clean, professional, and very informative. After the initial work, I asked his advice on a leaky faucet. I went and had the faucet replaced right then and there. Very pleased with the service. Rocco & Nick were wonderful! They were very professional, neat and courteous and I will recommend Pat Dolan Plumbing to all her friends and neighbors! I was very pleased with the plumbers that were sent to my home and am thankful they could restore the water so quickly. The plumbers were neat & courteous and explained the procedures as he was working on my pipes. I will be telling all friends and neighbors to call Pat Dolan Plumbing. I have been a long -time customer of Pat Dolan Plumbing and I have always been more than happy with their service and staff. 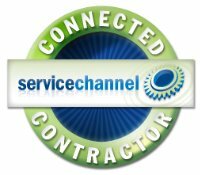 They were able to quickly help me with a frozen pipe issue during a major snow storm we were having. Rocco did a service call at my home today and he was very knowledgeable and courteous. Rocco very professional & polite. He was also very nice, neat & clean – wiping his feet before entering the house. Rocco also answered all of my questions. Good afternoon, I had Roland from Pat Dolan at my house today. He repaired a leak on my boiler. He was very professional and courteous. I wanted to make sure he was recognized for this. I just wanted to thank Pat Dolan Plumbing for being able to promptly come to my home to service a heating emergency, and for sending a terrific service man. Chris was fabulous, and very thorough, and everything is working fine. Thanks again. I wanted to thank Mike N. for the amazing service. Mike was friendly, clean and very efficient and I am very happy with the service all together. Pat Dolan is the company I always call with confidence when I have a plumbing problem. Today was no exception. I called this morning because of a slow drain in the tub, and as it turned out, there was a cancellation, and I was fitted right in same day. The service men arrived at a very ideal time, and they were very patient while I put my dogs away. I couldn’t have asked for better service. Ed B. and Lou did an exceptional and efficient job which was very neat as well. Once again, Pat Dolan plumbing, your company served me well. Thank you Ed B and Lou, it was a pleasure to meet you both. Joe is a very professional and efficient plumber. I was amazed how quickly he did his job. In addition, he is very neat and polite. I have no problem with Joe working in my home in the future. Joe was excellent, knowledgeable, nice and polite. I highly recommend Pat Dolan Plumbing. Thank you for the work that was done at my house. Robert and Joe were very professional and courteous. My wife, Gloria & I am very pleased with the work that they did. I also was pleased with the cost. Just wanted to let you know that you’re 2 for 2. We needed a hot water replacement last year, and a service call on our boiler a couple of weeks ago. In both cases,your people were great. They came when promised, did the jobs quickly and cleanly. Your service people are top notch. We put your name and number in our utility room for future reference. Thanks for the great service! I recently discovered I had a slab leak at my home. In researching available plumbing companies I came to realize many had negative comments about them. I came upon Pat Dolan Plumbing and Heating and I’m glad I did. They were highly recommended on all the websites I researched and their rating proved to be accurate. The person who came to my home Robert conducted a very thorough analysis of the problem and was very knowledgeable about the type problem I had. The leak was found quickly, the work done neatly and the problem resolved within a very reasonable amount of time. The cost I was charged was also very reasonable in relation to the work completed. I would highly recommend Pat Dolan Plumbing to anyone needing their services and will use only them from this point forward. Answered my call promptly. Came when they said they would. Worked clean, considering that’s its under the kitchen sink. and we had a leak. Put a shut off valve so we don’t always have to go outside. Did work on kitchen faucet. Explained clearly to my husband and his mother what the problem was and what had to be done. Very pleasant experience, and would tell others about them too and call again. Family very happy with the job. Thank you. Thanks to Denise for helping me out this morning with frozen pipes. She managed to squeeze service in for me and I really appreciate that. Bill & Joe did a a great job replacing the sewer line and clearing the kitchen sink drain line at my home. I wanted to personally thank your company for sending Tony to our house at Maplewood yesterday. He was courteous and kind. He was professional and patient. We had such a horrible experience with the appliance service provider prior to Tony coming. And at the end of the day, it ended up being a problem with the appliance, not the plumbing. Tony went out of his way to make sure that my house was safe. He explained everything to my husband and I. He left the area spotless and clean. Above all, his level of professionalism was above and beyond. I want to thank you. My family has utilized your plumbing services on numerous occasions over the past 2 years. We are extremely satisfied with the excellent customer service, professional expertise, and timely response to our calls. We wanted to commend Joe, who is always very competent, pleasant, and professional…he is an excellent ambassador for Pat Dolan Plumbing. We won’t hesitate to call you again in the future. Completely satisfied with their service …. Highly recommend. Roland replaced my toilet in my upstairs bathroom this morning. He was punctual, efficient, neat, very entertaining, and most important he was a professional. Roland is an exemplar employee. He should be acknowledged for his professionalism. I also offered to give him a tip and he refused to take it. Again, you have a extraordinary employee. Thank you. I will certainly use Dolan’s again. A great company! Reliable, professional, honest and reasonably priced. I’ve used them twice before for smaller jobs, but this time they replaced the old cast iron pipes that ran between the kitchen on the main level and the basement. A huge, tough job. Roland was excellent!!! The girls in the office were great, too, as well as the first two plumbers who came to the house the week before to evaluate how to handle the job. A great team effort, would highly recommend for any job – big or small! I am writing to thank you for your continued service on my behalf. I recently had a plumbing problem caused by a back up in my downstairs bath. Your serviceman, Matt, was wonderful. He located the problem right away and proceed to fix it very quickly. I really appreciate your quick response and am so pleased that you always send someone who is knowledgeable and very courteous.I hope i do not have a problem soon, but it is nice to know that i will be in good hands. Thanks again. On Tuesday 5/15/2012, a technician from Pat Dolan Plumbing Company whose name is Jay, came to my home to repair the source of a leak in the hallway ceiling outside of the bathroom. I have had many repair men come to my home through the years, but I have never experienced such extreme and complete professionalism and dedication to fix a problem. Jay worked diligently between my apartment and the apartment above me. Though it was raining quite hard and Jay had to go up and down and in and out of the apartment in the rain, Jay never moaned, or groaned about anything but maintained a calm and determined composure throughout. In my opinion, Jay is a credit to the profession and to Pat Dolan Plumbing Company. I am writing to let you know that I am very pleased with the oil to gas conversion work that was done in my house. I would like to commend John Fragale for his very meticulous, organized process of completing this very big job. I was grateful that the work was able to be completed in one day by having additional men assigned. I was at work when this work was being done because I did not want to be around. It is upsetting to have major work being done on your house. Because I have used your plumbing company many times in the past I was comfortable with leaving the men alone in my house. I had gotten three estimates. I knew I wanted to have your company do this work because your plumbers in the past always did their work correctly. The other two companies were less money but I would rather pay more money to be assured that the work is done correctly. Also, I do not know if the other companies would have done the leg work for the permit and the other paper work because it was not mentioned to me and I did not know to ask. Also, each time that I go down into my basement I cannot believe how everything was completely cleaned up. I did not have to pick up a thing off the floor or even sweep.